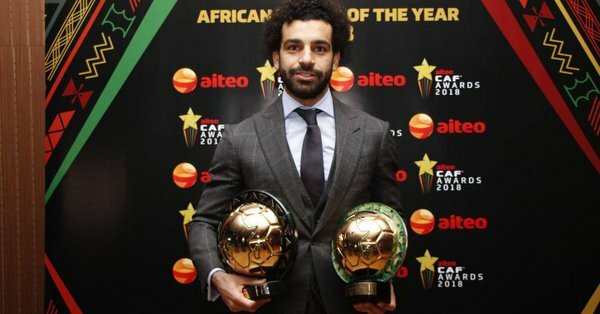 Egyptian striker, Mohammed Salah has been crowned the African Footballer of the Year at the Confederation of African Football’s 2018 Awards Night in Dakar, Senegal. For the second successive season, Salah beat off competition from Liverpool teammate and Senagalese star Sadio Mane as well as Arsenal’s Gabonese striker Pierre Emerick Aubameyang. It was an identical outcome to last year’s awards ceremony in Accra, where the man nicknamed “Liverpool’s King of Egypt” became only the second ever Egyptian to be voted the best footballer on the continent. Salah was the overwhelming toast of the expert selection panel after a sterling display for both club and country in the past year. He scored 44 times in the 2017/2018 league season in which he led his club to the UEFA Champions League final, before recovering from injury to net twice at the FIFA World Cup 2018 in Russia, and banged in 4 goals to help Egypt qualify for AFCON 2019. The PFAG continues to throw its weight behind events which herald the brilliance of our professional footballers. We wish to extend our congratulations to all winners, and organizers for a hugely successful CAF 2018 African Footballer of the Year awards night.